At Long Beach Property Management we take extra-caution in handling your property. You as an owner gave us the power not only to preserve the worth of your property but also to increase its current market price. Rest assured that the services that we offer here on our website are in accordance with the facts because our company’s integrity and credibility is of the utmost importance to us. What Can You Expect from Our Rental Services? Peace of mind is our main goal. If you own a property, we can take off your shoulders the weight of managing it. Property management at our Long Beach services is the support you’ve been looking for. As experts in rental services, we can help you see your rental property as a business, instead of becoming emotionally involved in the whole process. We implement strict procedures that ensure the success of your business, as well as efficient and profitable results. Long Beach residential property management provides friendly customer services regarding any complaints and issues that might arise in the apartment or house that you are currently leasing. Your voice will always be heard because we appreciate every single suggestion. Your concerns will never be indifferent, and we will fix the matter on hand. All this while maintaining the value of your property. Our highly qualified property management professionals will take the frustrations of being a landlord off your hands. You’ll find our management fee usually pays for itself when we are able to increase your property’s income potential and cash flow, reduce maintenance expenses, and protect you from legal and liability issues. You can count on us to secure the property you entrusted us. Long Beach Property Management has your back by fulfilling your mission. We also document and update the condition of your residential property. We take pictures and do constant checklists of the house. Trust our team of quality property managers to carry a thorough inspection of your premises. Your home is a valuable asset and we fully understand it. Seemingly low-priced services can often lead to poor results because there is not enough staffing at the management company to provide the level of service desired. That is not a problem at Long Beach Residential Property Management, as we pride ourselves in maintaining the highest level of service to our clients through great teamwork and impeccable money management. Your residential rental will always be in good hands. To ensure the safety of our tenants and the owners, we always make sure that we keep the day-to-day transactions, contracts, and other legal documentation that are signed or witnessed by the parties involved. Applying the latest technology and our very own comprehensive software, tenants and owners can update payments, earnings, check on the property, and any announcements made by us. Residential management has never been this easy, contact us today and we can give you a free consultation without compromising your decision. Some management companies, unfortunately, over price properties in order to obtain a signed management agreement. This initially will make an owner happy because it is what they want to hear; although it often leads to the unhappiness of a long vacancy and one or more reductions in the asking rent before the property finally rents. As a result, this will not give the owner the best return of their rental income, right? The state of California is known for blue beaches, sun, and top-notch experiences. A life that residents and visitors of Long Beach enjoy every day when they hear the calling of exploration, and learn more about this city, which is located on the Pacific Coast of the United States and is part of the bustling and iconic Los Angeles area. 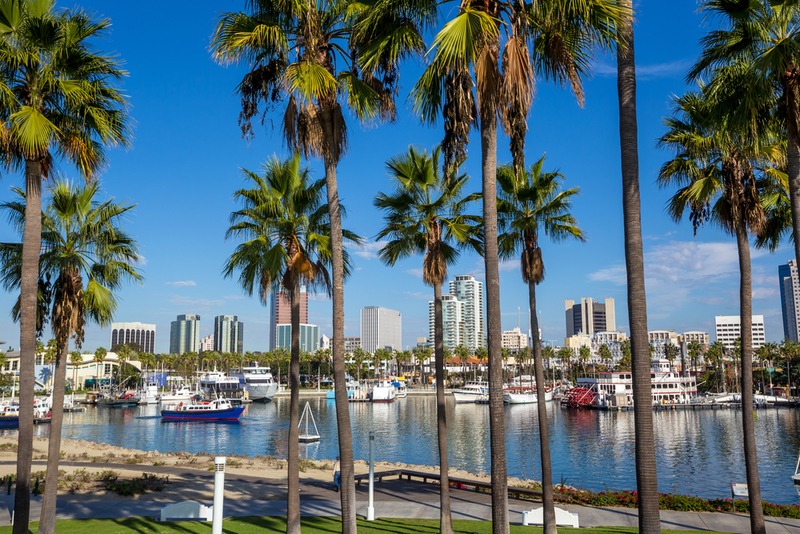 Long Beach has all kinds of entertainment for you, and that includes historical sites you can visit when in the city. Rancho Los Cerritos is a wonderful place to learn and to practice a sense of community, and even to celebrate any special occasion. Long Beach is also famous for being the permanent home of the Queen Mary, at Long Beach Harbor, which holds important annual events such as the ScotsFestival & International Highland Games, and is also known as one of the top 10 haunted places in the U.S. There's also the Walter Pyramid, Belmont Veterans Memorial Pier, and Long Beach Museum of Art, are also part of the fun you can find in this city. I can't think of a better company to keep my apartment in shape. With LBPM I can rent the apartment without worrying about anything, they take care of everything!